Also called daisy coral or whisker coral, Duncan corals can be a beautiful addition to a tank. Lately, they have become a darling of most hobbyists as they are quite easy to care for. They also grow very fast and have very minimal requirements. First time hobbyists will find they need little attention, yet they can be extremely beautiful when all their needs are met. It looks like a zoanthid with its large yet fleshy polyps. It belongs to the species of the LSP (Large Stony Polyp) corals. Sometimes it gets confused with the button polyp species. The difference however, is that it has a calcified skeleton. It stays healthy in high calcium concentrations and magnesium hardness waters. The coral often exhibits lovely flowing bright colors like pink, cream and white. The color of the skeleton is usually a bright white. Unlike most corals, the tentacles are very few and short. These few tentacles are far spaced, allowing one to see the bright skeleton. They are photosynthetic in nature. They are also symbiotic zooxanthellae. Most of their feeds are obtained by hunting. After they capture their feeds, they are directed to their mouth found at the center of the large fleshy polyps. The coral can live for years if well taken care of. In the wild, some have been able to live for more than a hundred years. 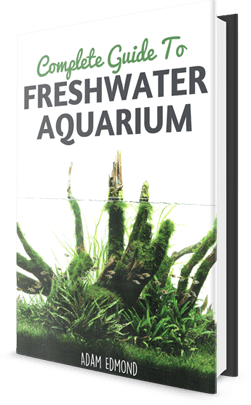 In captivity, hobbyists have reported that it is a hardy coral that stays healthy with the right water conditions and proper feeding. In the wilderness, it lives in rocky, sandy beaches found mostly in Australia and Southern China. In the wild habitat, they are known to live in colonies of clustered individuals or branching groups. They often settle at the bottom of low current sea or reef. Their scientific name is duncanopsammia axifuga. For a long time, the Duncan corals were unique to Australia and China. A ban was imposed on exportation of the corals from Australia. This made their availability to other countries almost nil. However, after the ban was lifted, most aquariums around the world were able to acquire it. 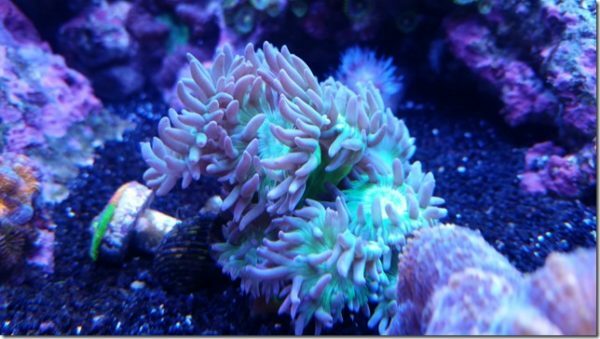 At the moment, the Duncan coral has become a darling to most US aquariums. Although the Duncan coral is easy to care for, it has requirements that ought to be met if it is to stay healthy. Some of these are adding in some reef into the tank as this is what it enjoys most. Also ensure the light in the tank is high to moderate. The coral is a large stony polyp that uses lots of light to photosynthesize. Remember this is its way of getting its food and other needed nutrients. When incorporating light, it is important to use metal halide lighting, compact fluorescent, ultraviolet lighting and T5 high output fluorescent. The coral enjoys high water current in its natural habitat. This can be done to it in the tank if it is to thrive. As a matter of fact, trying as much as possible to imitate its natural surrounding can assure its longevity in captivity. It is a salt water coral so you need to keep moderate to high amounts of calcium and magnesium in the water. To be sure the water concentration is just right, test the water occasionally to keep it healthy. If the concentration is too high, the coral may waste away. Anytime the water parameters go beyond what is required, change the water to restore its quality. One way of doing this is by adding part-2 reef supplement. Feed the fish at least twice each day. When giving food, target the mouth by placing the food in the Julian’s Thing that resembles a pipette. This will help direct this food into its mouth. In case the food is placed away from it, keep the current moving so that it moves the bits of food close to it. Like most crustaceans, the Duncan coral reproduces by binary fusion. In other words, part of its body separates and another frag is formed. This can be done artificially to a tank Duncan coral. Part of its stony branches can be seared using dremel tool or bone shears. The stony stalk’s bottom is then attached with cyanoacrylate glue to a piece of live rock. Remember the new frag will form a new colony. Carefully anchor this one to bare rock. The colony needs secure support. If not, it may be too heavy as the skeleton often grows vertically instead of horizontally. This may prevent it from attaching itself to surfaces. Ensure the base is strong enough to bear the weight of the crown’s tentacles without falling over. Wounds that form as a result of tipping over often get infected and this may lead to its demise. Duncan corals are not blessed with sweeper tentacles. For this reason, they do not have potent stings like other coral species. They cannot therefore sting other corals that stray to their side of the tank. Placing them in the same tank with corals possessing sweeper tentacles can be quite detrimental. Ideally, keeping the Duncan corals is real fun. Apart from having little demands on a hobbyists time, they are generally hardy. They also exhibit unique yet lovely colors. When properly cared for, they are likely to reward the hobbyist with fast growth and excellent color.